I love the first one. 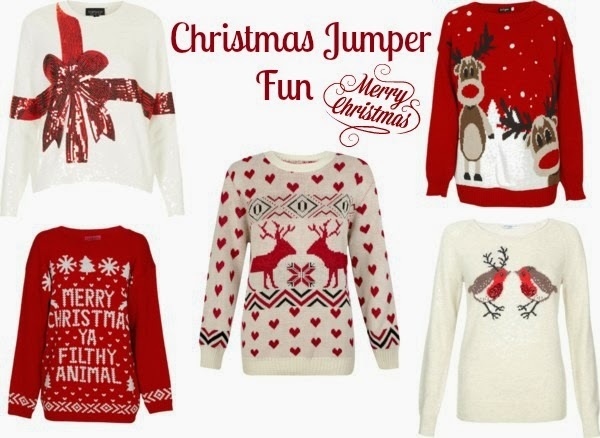 Such a cute jumper, it would be like you're wrapped up as a present! Definitely too expensive though! Just got my 'Merry Christmas ya filthy animal' jumper today from Boohoo! First Christmas mas jumper ever, but I have to have it. Love that movie too, its not Christmas if its not on tele! I'm not going to lie, I love Christmas sweaters!